– Click here for our season preview on the Minutemen. 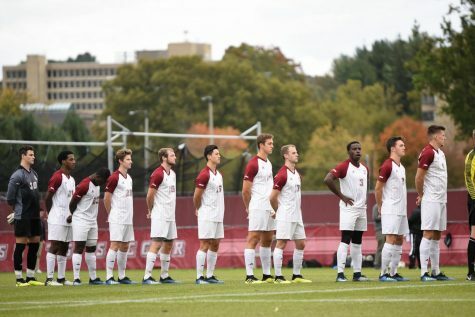 Even though the Massachusetts men’s soccer team fell to Harvard, 3-2, it can at least hold its head up high knowing it went down fighting. 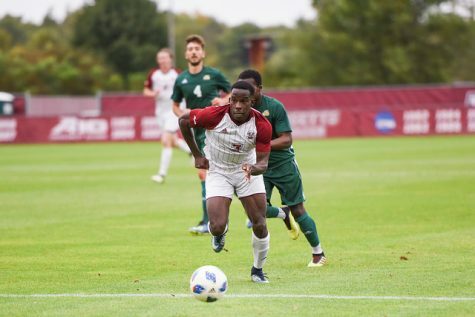 The Minutemen (0-1-1) battled the Crimson (2-0-0) in a game of mixed possession and heavy fouling, as both teams combined for 48 fouls and four yellow cards. The first 10 minutes of the match featured a back-and-forth battle for possession with no victor. UMass pushed up the field on two separate occasions, but failed to convert due to poor passes towards the inside. Harvard’s lone chance at goal came off of a corner kick which resulted in a missed shot opportunity. Nearly 20 minutes into the game, UMass had a free-kick outside the box which turned into a goal-scoring opportunity. After a cluttered mess inside the box, including a takedown from a Harvard defender, Bryant Craft earned a penalty kick. He banged it into the right corner and the ball ricocheted off of goalkeeper Austin Harms’ hands for the first goal of the contest. The early goal must have heightened Koch’s confidence, as he pulled two high-profile players in the returning Chris Roswess, who missed the first match of the season due to a red card earned last year, and the goal-scoring Craft. Both Roswess and Craft would make returns later in the match. Drama unfolded in the 37th minute after the ball was cleared toward the backline. 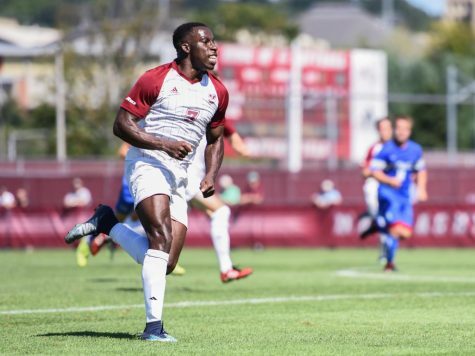 Hellah Sidibe, who made his home debut for the Minutemen, brought the ball up the field. He dribbled past two defenders, including Jaren LaGreca, who he elbowed in the nose along the way. Sidibe was tackled from the side by Jamie Rees and tripped down to the ground. The game stopped to deal with the injured LaGreca and the foul situation with Sidibe. Sidibe received a yellow for his hard foul on LaGreca and Rees also garnered a yellow for his tripping of Sidibe. Despite the controversy surrounding his plays, Sidibe earned high praise from his coach regarding the Malian striker’s debut. During the pause, fans, coaches and players complained continuously about the initially-missed call for LaGreca’s injury. 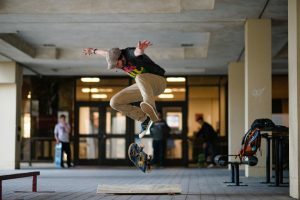 “One side is always going to say you’re wrong, and one side is always going to say you’re right, but maybe not all the time,” Koch said. 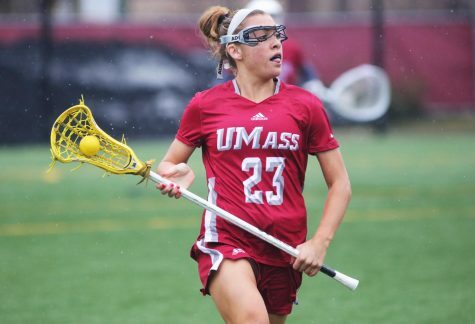 UMass continued to lead the first half, despite the mutual possession held by both teams. Going into the halftime break, Harvard tied the game up right at the conclusion of the half as the ball found its way to the back of the net off of Scott Prozeller’s header. The clock ran out and the teams entered into the break even. 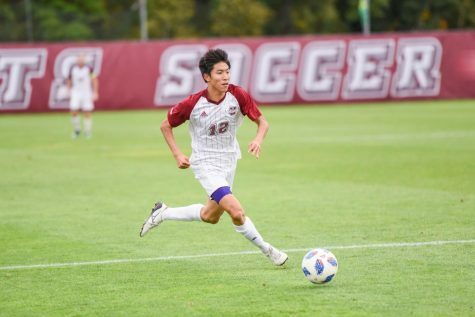 It didn’t take long for Harvard to score again as four seconds into the second half, Brian Rogers scored off a defensive lapse by the Minutemen. Rogers gained possession of the ball inches near the net, fooled the goalkeeper and banged it off the far post for the score. 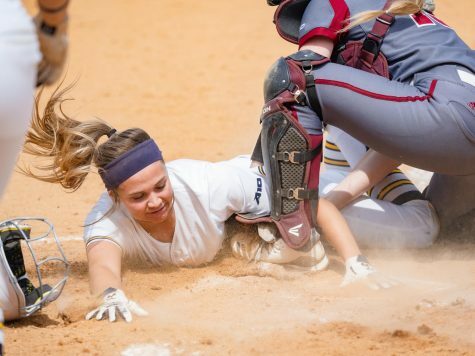 Less than 15 minutes into the second half, more odious theatrics unfolded on Rudd Field. UMass earned possession near the opposing goal, with Ben Arikian’s initial shot getting blocked by the Crimson defense. Stuart Amick trapped the rebound and took a shot that banged off the top bar and down towards the goal-line, bouncing high off the grass just off the line. Roswess attempted to score on the rebound, but ended up colliding into Harms in a dangerous play. Roswess received a yellow card for his efforts. 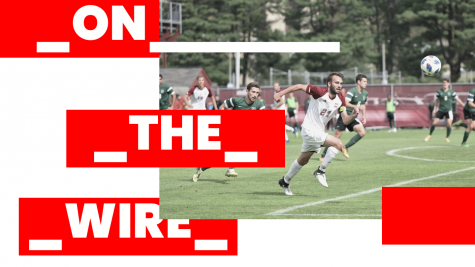 After more battle for possession, the 20th minute unveiled the next goal between the two sides when the Crimson earned another free-kick outside the box. The ball was crossed in and headed down by Ross Friedman for the goal, giving the Crimson a commanding 3-1 lead. 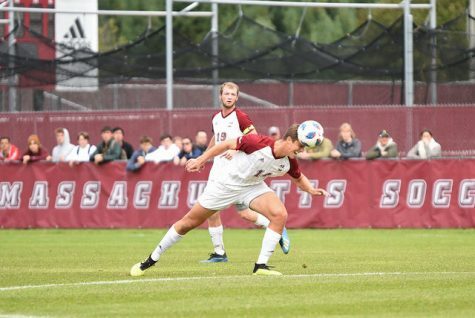 Despite the two-goal deficit, UMass pushed the ball forward several times in the closing minutes of the game. While the team fell short on several occasions, Arikian was instrumental in the second score for the Maroon and White. After carrying the ball down the field, he slid the ball to the far side where Amick nailed the ball towards the back of the net. 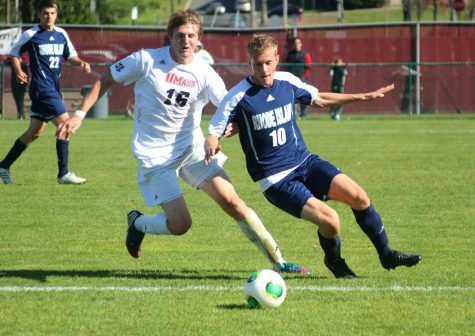 The final goal came too late, however, as the Minutemen were unable to score another before the end of the period. 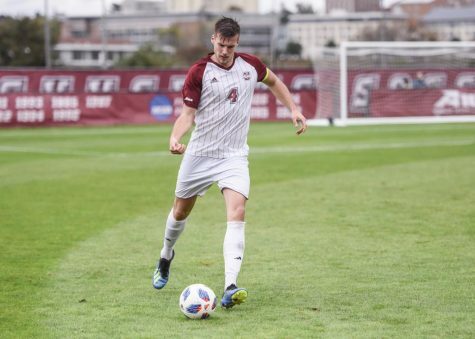 UMass will have its chance to keep the fight going when it faces off against Fairfield on Saturday.